Just five minutes away from IKEA Damansara and The Curve is the township of Damansara Perdana. Despite multiple condominiums, office buildings, and even a mall (Empire Damansara), there are still hidden food gems in the area that many aren’t aware of. 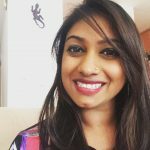 If you live or work in Damansara Perdana, you’d be spoiled for choice when it comes to food with a variety of coffee shops, mamaks, warungs, cafes, and even fast food in the form of Burger King, Domino’s, and Pizza Hut. The food is also quite reasonably-priced compared to other areas in Damansara, with attractive lunch sets to cater to the office crowd. Here is my pick for some of the best hidden food gems in Damansara Perdana. This halal eatery tucked in The Place, Damansara Perdana (same building as Hong Leong Bank), offers comfort Western food at great prices. Enjoy pulled lamb burgers, fried chicken chop, roast chicken, chimichangas, country fried steak, and much more. The decor is simple yet homely, and the service is friendly. They have delicious desserts too, and a must-try is their freshly baked scones served with butter and jam. 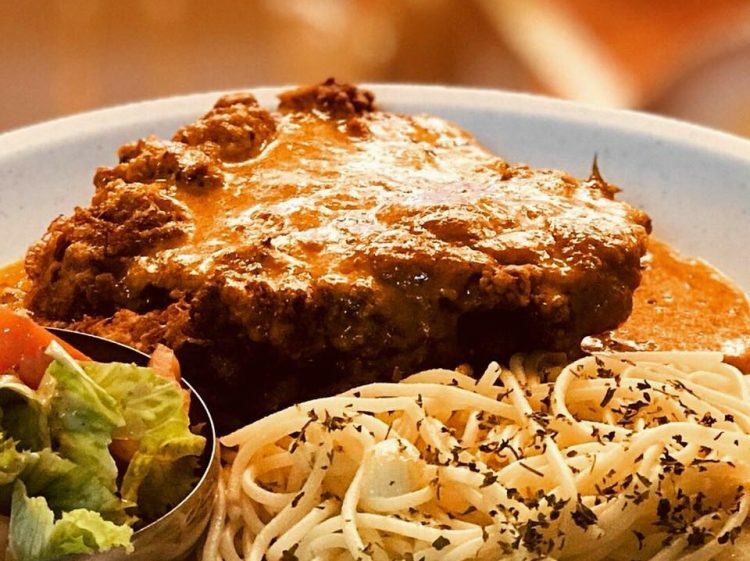 Another gem for Western-style comfort food as well as local fare, Pasta Boy Cafe is a family-run business that used to operate a Western food stall at Restaurant OK Family a few years ago. Now upgraded to their very own cute cafe, they have expanded their menu to include pasta, rice dishes, chicken chop, fried rice, fried noodles, all-day breakfast, and more. One of my favourite menu items that I can’t get enough of is their Moroccan Chicken Chop (pictured above). Crispy fried chicken with a spicy curry-like sauce on top; it’s served with a side salad and a choice of fries, pasta, or rice. The ambiance is relaxing and airy too, and they won’t mind if you hang out and use their WiFi to work or chill for a couple of hours. If you’re craving satay Kajang but can’t be bothered to travel all the way there, this place might just satisfy your fix. 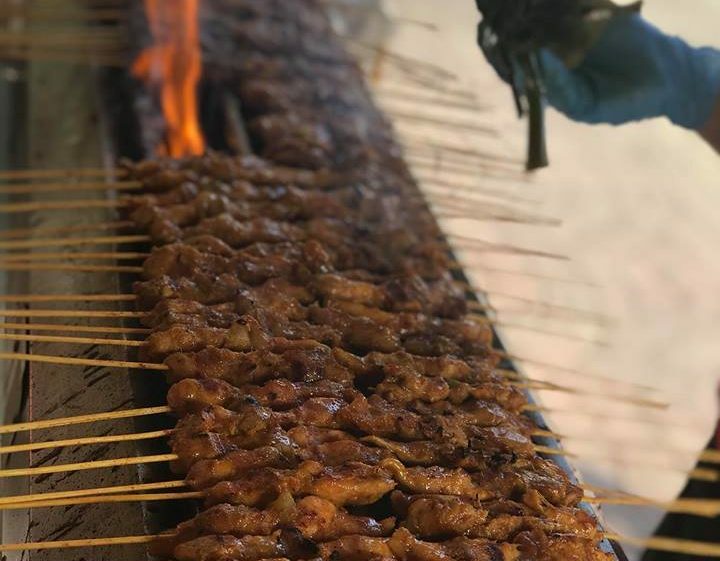 Situated next to Berry’s Cake House, the satay here is well-marinated and juicy while the peanut sauce is spicy and chunky. Meat choices include chicken, mutton, or beef satay. They also have yummy nasi lemak. You can either get a piping hot nasi lemak bungkus, or a plate-full with a variety of side dishes. 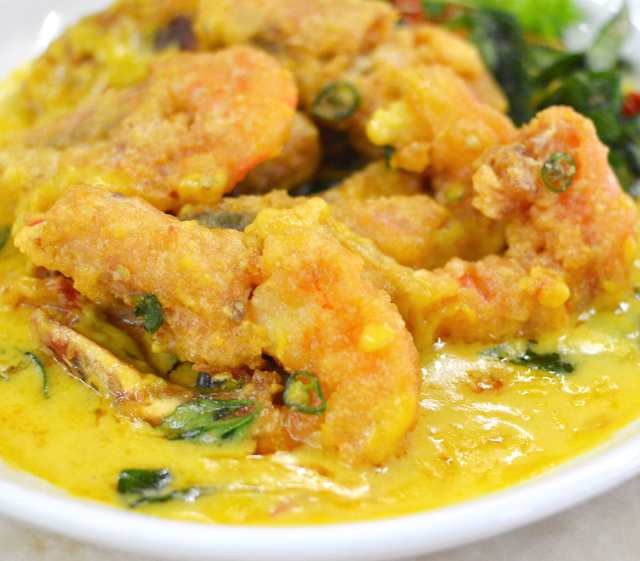 Pair it with a frothy teh tarik and you’ve got yourself a comforting meal. In the mood for authentic Thai food? This hidden gem has only been around for less than a year, but it’s already a favourite among the Damansara Perdana residents. The cooks are originally from Thailand, which is apparent once you taste their food (if you’ve been to Thailand). If you can’t take spicy food, you might be in trouble here as being Thai, their level of spiciness is quite high and even a ‘Mild’ might have you reaching for the ice water. The great thing about this place is that the prices are very reasonable, and well worth it. 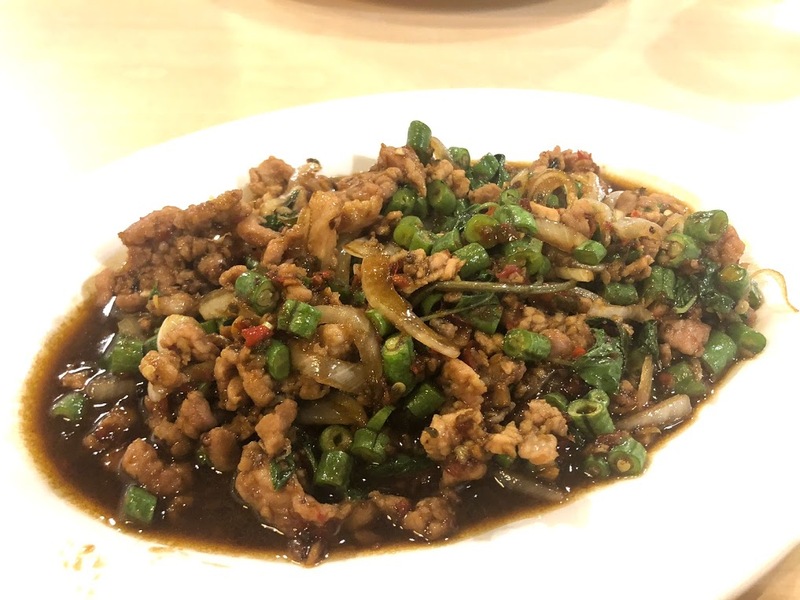 Notable dishes to try are their Pad Krapow Gai (minced pork with hot basil leaves), Steamed Seabass with Lime Chili Sauce, and Taste Thai Chicken Rice. You can get lunch sets for RM8-RM10, or a meal for two for less than RM30. They also have Thai BBQ and steamboat options with various meats and vegetables. This is a non-halal restaurant. 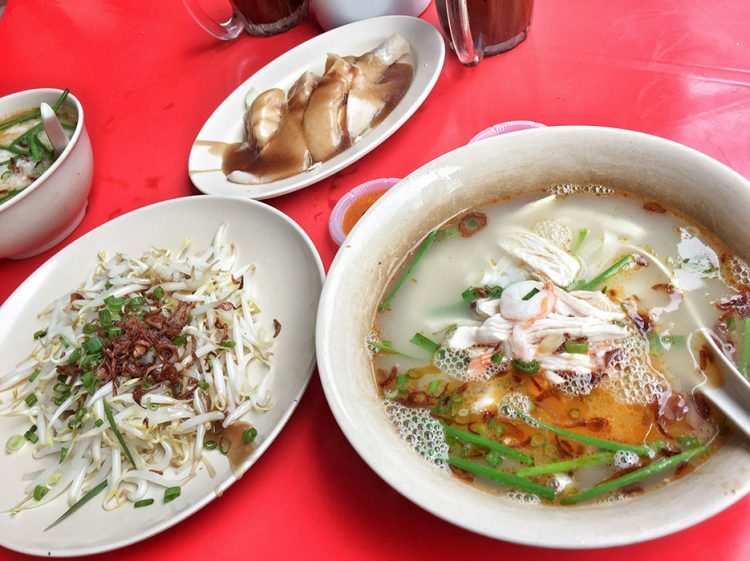 Chinese cuisine reigns supreme in Damansara Perdana, with your choice of kopitiam, chicken rice, fish head noodles, and more; but most are non-halal. If you can’t eat pork, you can still enjoy delicious Chinese food at the halal Mohammad Chow restaurant, just a few doors down from Taste Thai. Enjoy Yong Chow fried rice, Salted Egg Squid, Kung Pow Chicken, Singapore Fried Mee Hoon, and more at fair prices. Bonus: they also do delivery! This unassuming restaurant faces the main road but you’d never guess they serve delicious and authentic Ipoh Chicken Rice and Ipoh Hor Fun inside. They also have fresh prawn wantan soup. If you’re here for a weekday lunch, it’s best to go early as the small shop can get pretty full, fast! There is no pork served here. The chicken is delightfully tender, served with a savory brown sauce on top. The fragrant chicken rice comes with chopped fresh coriander and spring onions, and the customary chili sauce of course. The prawn wantans are also delicious and fresh. Two Hands is another new kid on the block that’s already made waves in the food scene. Known for its outstanding quality and exceptional service, it’s helmed by veteran Chef Vic, who has spent over a decade honing his craft in various restaurants around the city. The chic restaurant allows diners to sit at the comfortable and private al-fresco area, in the industrial-chic passageway, where they can watch the Two Hands team prepare their food in the wide-open kitchen, or at a refined timber-table bar. Read the review on Two Hands here. Here’s a healthy food option in Damansara Perdana! Epic Fit Meals opened their first outlet here in 2014, and now have outlets in Mont Kiara and Sunway as well. 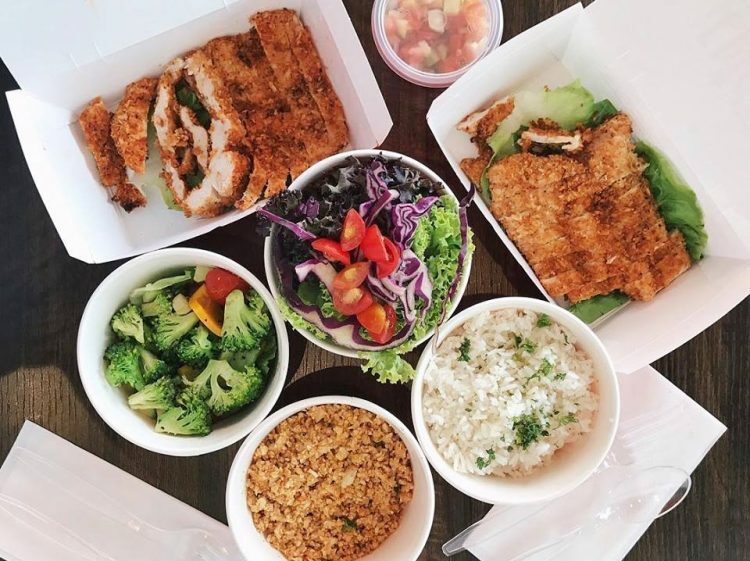 Serving ‘honest, real food’, the halal eatery offers a variety of Melbourne’s favourites such as grilled chicken, burgers, pizzas, and burritos, using fresh and whole ingredients with no artificial flavourings or MSG. They also pride themselves on their fast delivery, promising fresh and piping hot meals straight to your doorstep within 45 minutes. The physical outlet is at Metropolitan Square where you can also dine-in or take-out. This one isn’t really a hidden gem, as it’s one of the most popular restaurants in Damansara Perdana. Call ahead for reservations if you’re headed there on weekend nights as it can get booked up pretty fast, despite having a large space. 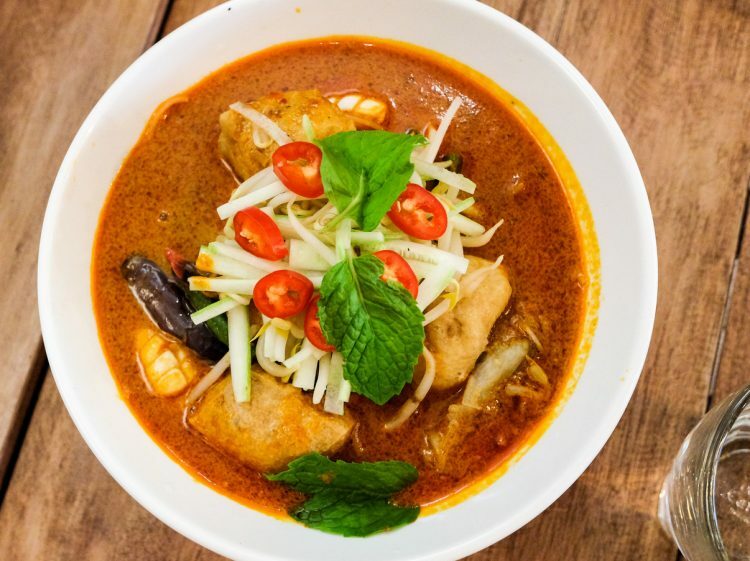 The menu is a blend of Chinese, Malay, and Portuguese cuisine, with flavourful local favourites such as Sambal Petai Prawns, Butter Prawns, and Devil’s Curry. Another dish that’s not for the faint of heart is the Fried Jenahak Fish with Chili Padi Paste and Petai, which is fiery and delicious. A great place for family dinners or get-togethers with friends. If you’re in the mood for Korean BBQ, or even just a simple Korean meal, this gem in Perdana Shopping Centre (adjacent to Jaya Grocer) is a great place to try. 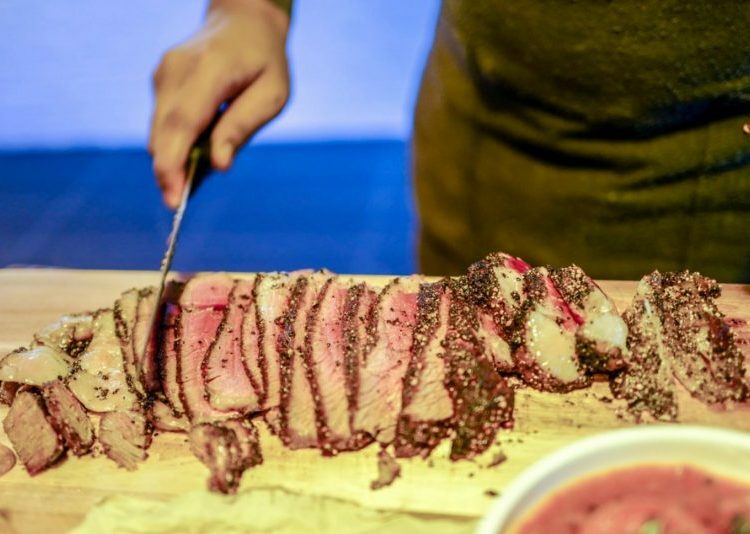 Known for its reasonably-priced authentic fare, highlights include Kimchi Stew, Kimchi Fried Rice, Pork Chop, Steamed Bean Curd, and of course, their BBQ and Steamboat varieties which include pork belly slice and beef prime rib. Their set meals are also good value for money. Read the review on New Seoul Korean Restaurant here. 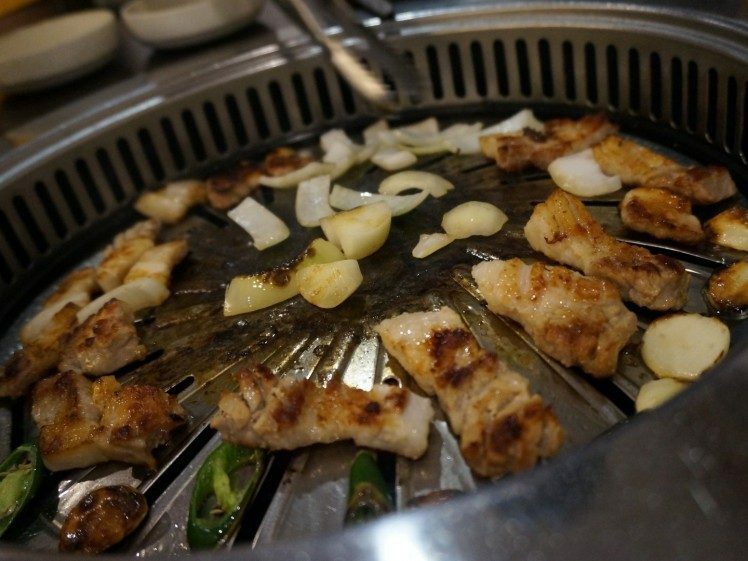 Address: New Seoul Korean Restaurant, P-L 16, Jalan PJU 8/1, Bandar Damansara Perdana, 47820 Petaling Jaya, Selangor. 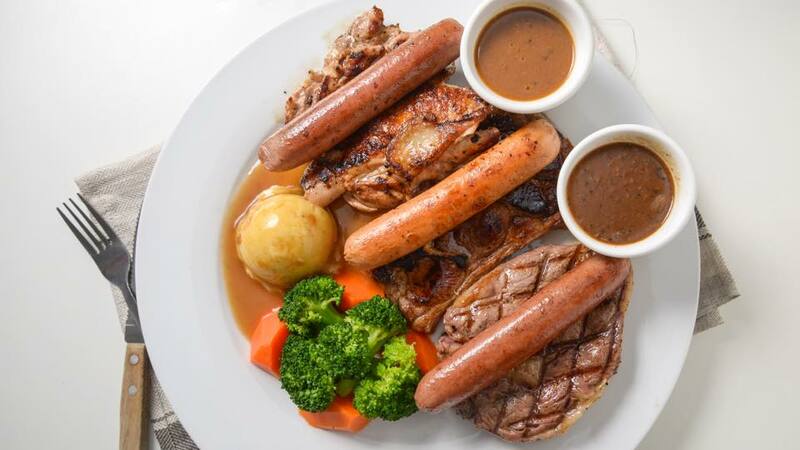 This restaurant in Emerald Plaza lives up to Macau’s tradition of ‘cha gordo,’ serving hearty feasts that families and friends can cheerfully share and savour together. 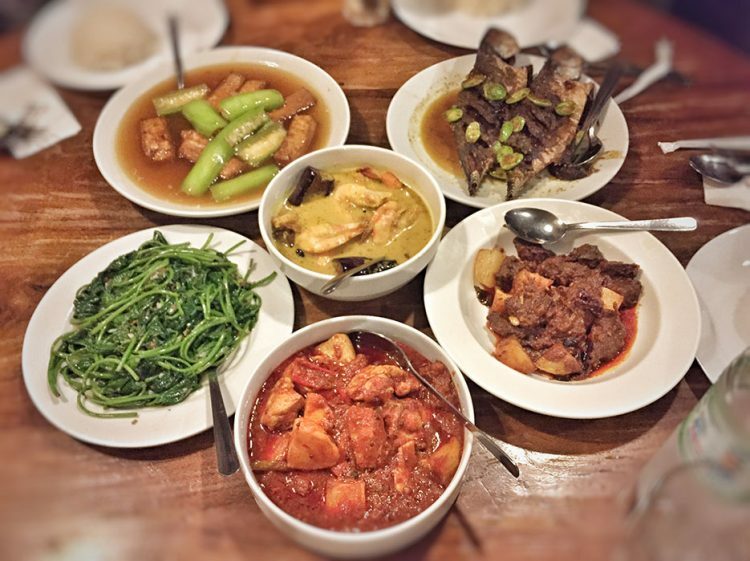 The food reflects the rich heritage behind Macanese cuisine, blending Cantonese roots with a Portuguese legacy, with diverse influences that can be traced to the ports of Africa and Southeast Asia. The ambiance is homely with lots of greenery and a chilled-out vibe. Besides menu items such as Beef Brisket Tendon Curry and Portuguese Chicken, there are also decadent desserts and all-day breakfast items. Read the review on Fat Tea Macanese Food here.